There’s a crop of new artists that are dropin’ bodacious beats like a needle on a Technics SL1200mk2! 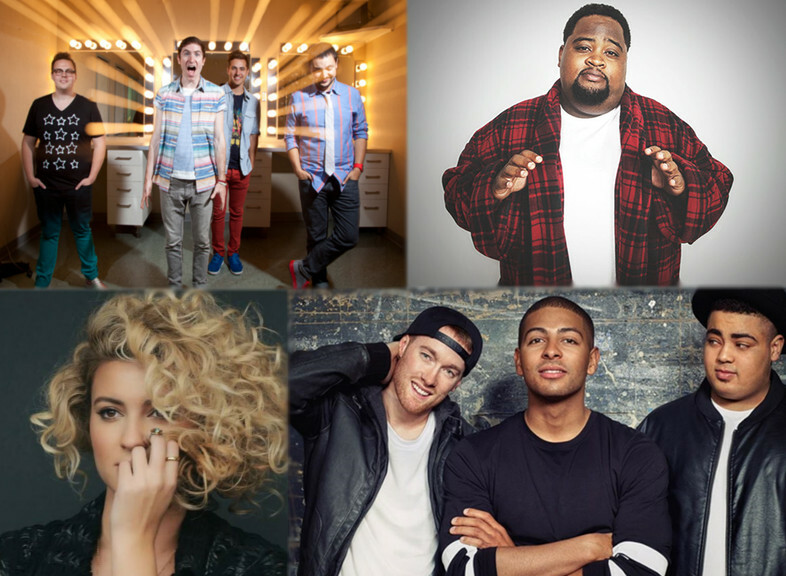 Walk The Moon, Life Of Dillion, Lunchmoney Lewis (you gotta love that name) and Tori Kelly are all about to detonate your speakers and are all featured in this weeks In The Mix with HK™! The Cincinnati based Indie Rockers that make up Walk The Moon have been around since 2008. They made noise on the Alternative side but Shut Up And Dance is what pushed them into Pop status. And that track has no signs of stalling. From the other side of the pond, two brothers Robert and Joe Griffin with their friend and founder David Keiffer make up the trio Life Of Dillion. The London based group got their name from an interesting stranger named Dillon who they met while visiting Brazil. Does he get royalty checks? They’ve got their own serious vibe goin’ with Overload. Look for their first album to drop soon. Florida native Lunchmoney Lewis and his catchy comedic hit Bills is laughing its way up the charts. A musical family never hurts. Lewis’s father and Uncle helped found the group Inner Circle of Bad Boys fame. Just saying the title of that song will have it stuck (bad boys bad boys whatcha gonna do) in my head for hours. Then there’s songwriter, singer and multi- instrumentalist Tori Kelly who has been at it for a while and didn’t give up. She was on Star Search at 10 and America’s Most Talented Kids. She tried out but never made the cut for American Idol. I bet Simon Cowell wishes he signed Tori now that her single Nobody Love is blowing up! I'll be blowin’ up your system this weekend, so tune in and turn it up!